Fat burning herbs and supplements are usually combined with thyroid boosting chemicals in weight loss formulas. By attacking fat from several directions, we get better end results. 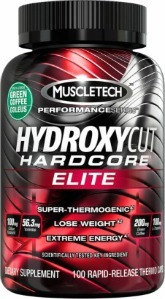 However, even these fat burning supplements differ from one another, when it comes to their approach. Some of them act on special kind of receptors and enzymes, while others increase resting heart rate or act through several hormones which are not thyroid related. Cayenne pepper has thermogenic effect. Its hot taste that comes from capsaicin, stimulates the nerve endings in the mouth and the stomach which increases heart rate and burns more fat. It also improves secretion of hydrochloric acid thereby improving digestion and weight loss. Green tea alone, has very small effect on weight loss. However, combining it with other more effective fat burning supplements may improve its efficiency, due to synergic effect. Also, don't go overboard, small quantities of green tea are enough. 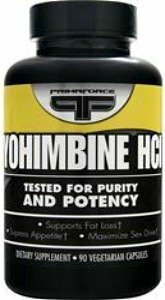 Yohimbine is an alkaloid from Yohimbe that works against alpha 2-receptors and alpha-1 receptors, while increasing heart rate. By blocking alpha 2-receptors, the body shifts into fat burning mode since these receptors control the way we burn and store adipose tissue, especially when it comes to "trouble areas". 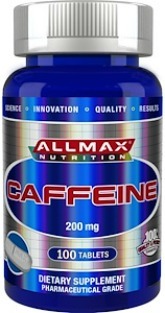 Caffeine is a stimulant which raises energy levels and resting heart rate. By doing so, it increases resting energy expenditure and break down of body fat. However, it also one of fat burning herbs that works well with others which may provide better end results. Rauwolscine is one step in front of yohimbine. While both alkaloids deactivate alpha-2 receptors, Rauwolscine has 50 times weaker effect on alpha-1 receptors. Unlike alpha-2 receptors, we don't want to deactivate alpha-1 receptors since they actually help in weight loss. Diindolylmethane or DIM is one of fat burning supplements found in cruciferous vegetables. DIM works by detoxifying excess estrogen, while improving overall hormonal image. When your hormones are balanced, the body becomes much more efficient at burning fat. Adaptogens also act on hormones. Although they act on entire endocrine system, their ability to reduce stress hormones, improve insulin levels, testosterone, growth hormone as well as blood sugar levels may result in measurable weight loss. If your blood sugar levels and hormones are balanced, then you really don't need any of these fat burning herbs to lose weight. Eating right and exercising regularly is more than enough for you. If you decide to take Rauwolscine or Yohimbine, be careful. They are very powerful and not recommended for people with some kind of heart related problems or other serious condition. Same rule applies for chemicals such as caffeine and especially for super stimulants such as ephedrine or 1,3-Dimethylamylamine.